Do You Have A Pond or Water Feature Project We Can Help With? 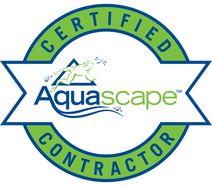 FncPonds is the premier Certified Aquascape Pond Contractor in Frisco, Allen, McKinney, Carrollton, Lucas, Plano, Lewisville, Rockwall, Dallas and Garland, North Texas. We specialize in low maintenance ecosystem ponds, all of which functions by working alongside with its surrounding nature rather than against it, and we pride ourselves in creating water features designs that naturally fits in with your home and landscape. 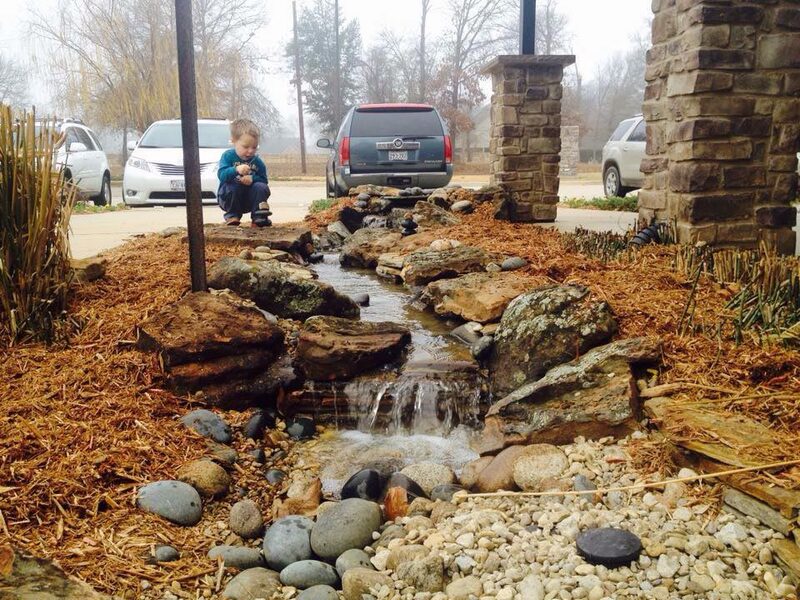 Our team of design consults start out by listening to your priorities and desired water features. We value our initial design process because we pride ourselves in helping you design your home and make the final landscape and/or water feature design reflect you and your lifestyle. Our creative expertise are meant to help enhance your ultimate ideas and goals, and we can assist you with a complete plan for new pond construction, or help renovating an already existing landscape or water feature. If you wish to add a new water feature to your landscape, and you live in the Northern Dallas areas, then please go ahead and contact us today! Water is the source of all life on the planet, and it’s moving, dripping sound can help us relax like no other sound in nature. By having a water feature in your landscape you can transform your outdoor living space into a beautiful, tranquil paradise in which you can relax, unwind and reconnect with nature, alongside with your family and friends. Ecosystem’s ponds and water gardens becomes the focal point of any landscape with their melodious tunes and their natural ability to attract a variety of wildlife, and whether you tuck a decorative urn, a fountain feature, a pondless waterfall or create an entire backyard habitat with an ecosystem pond, streams and multiple waterfalls, you’ll find each day enhanced when you waterscape your backyard. No matter if you own an expansive lawn or a small courtyard, we can help create a natural-looking water feature to suit both your budget and your desires. Contact us today to get started on the path of living the water feature lifestyle! The most natural looking ponds and waterfalls anywhere! Picture a beautiful waterfall gently cascading down to a cool and inviting pond, surrounded by soothing greenery and exquisite flowering plants. Sound like paradise? It is! And it can be all yours to enjoy and share with family and friends. Water, natural stone, the soft tendrils of vegetation, the whimsical flick of a golden fin, and you, relaxing in the soothing tranquility of paradise! With custom designed koi ponds, waterfalls, and water gardens, you can summon the splendor of nature right in your own backyard. A water feature transforms your home into a natural haven, reducing daily stress, thus improving the quality of your life. This is a chance to reconnect with nature, and a place to reconnect with loved ones. 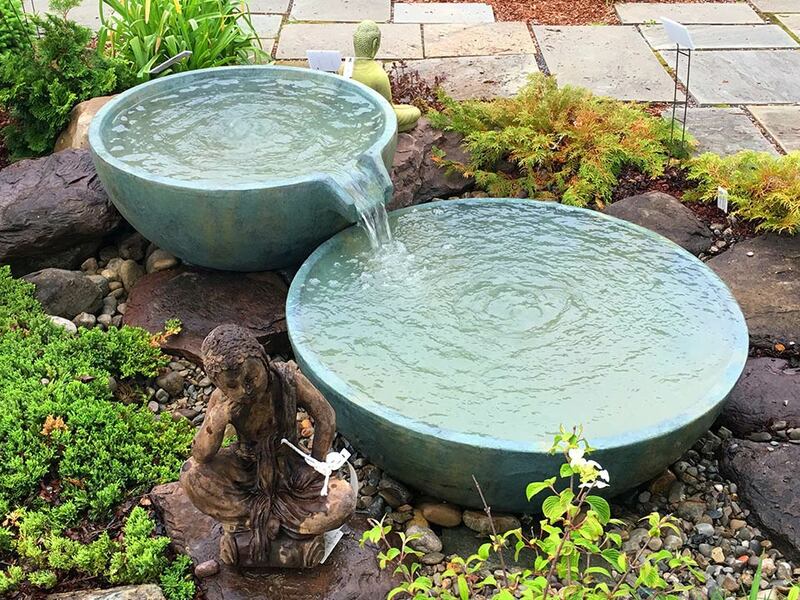 Your water feature will quickly become an intriguing part of your life, and a source of precious happiness and serenity. 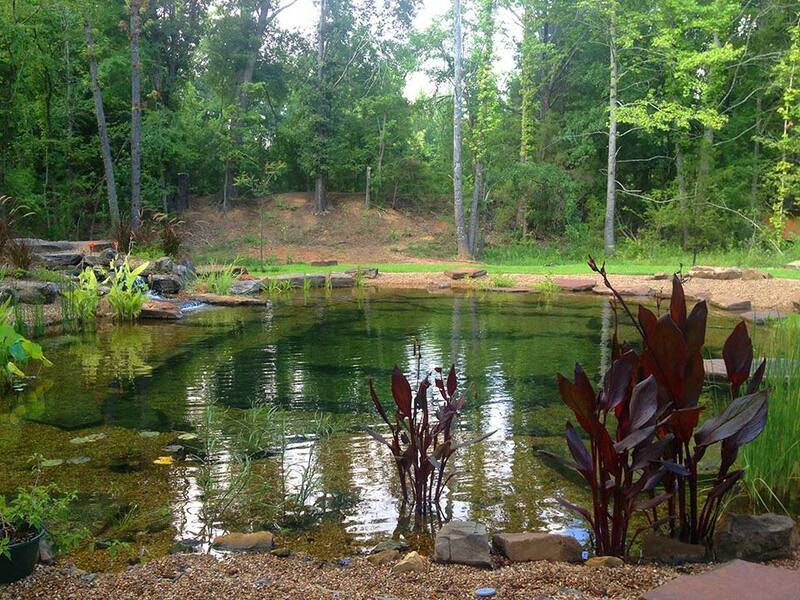 Contact us with questions or to schedule a pond consultation. 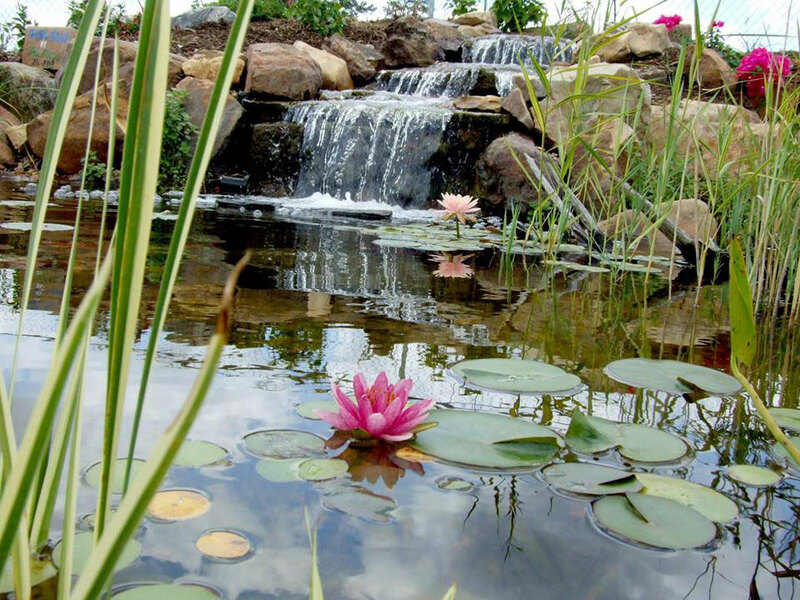 We are specialists in the construction of unique water features, ponds and water gardens. Our work inspires. We pride ourselves on delivering outstanding quality and design for leading clients across the country.